Consistent with her lifetime of giving, Tina Brozman believed strongly in investing in the next generation and the power of mentoring. In her honor, and to celebrate her legacy, Tina’s Wish established the Tina Brozman Mentoring Award to recognize outstanding contributions to mentoring, teaching and leadership. Tina’s Wish is honored to present to James H.M. Sprayregen of Kirkland & Ellis the 2019 Tina Brozman Mentoring Award. James H.M. Sprayregen is a Restructuring partner in the Chicago and New York offices of Kirkland & Ellis and served on Kirkland’s worldwide management committee from 2003-2006 and 2009-2019. Mr. Sprayregen is recognized as one of the outstanding restructuring lawyers in the United States and around the world and has led some of the most complex Chapter 11 filings in recent history. 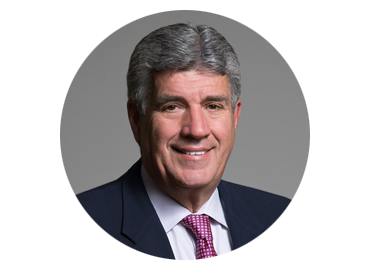 He has extensive experience representing major U.S. and international companies in restructurings in and out of court and has handled matters for clients in industries as varied as manufacturing, technology, transportation, energy, media, retail, and real estate. He has extensive experience advising boards of directors, and generally representing debtors and creditors in complex workout, insolvency, restructuring, and bankruptcy planning matters worldwide. In March 2010, Mr. Sprayregen was selected by The National Law Journal as one of “The Decade’s Most Influential Lawyers.” Mr. Sprayregen was named “Global Insolvency & Restructuring Lawyer of the Year” in 2013 by Who’s Who Legal Awards, receiving more votes from clients and peers than any other individual worldwide. In October 2013, Mr. Sprayregen was inducted into the Turnaround Management Association (TMA) Turnaround, Restructuring, and Distressed Investing Industry Hall of Fame‎. From 2013-2015, Mr. Sprayregen was appointed to serve a two-year term as the President of INSOL International, the leading insolvency association in the world. Mr. Sprayregen joined Kirkland in 1990 and built its international Restructuring Group. He joined Goldman Sachs in 2006 where he was co-head of Goldman Sachs’ Restructuring Group and advised clients in restructuring and distressed situations. He rejoined Kirkland three years later. Mr. Sprayregen is a frequent lecturer, speaker, and writer on insolvency, cross-border, and distressed M&A issues. He has served as an Adjunct Professor at the University of Chicago Booth School of Business, New York University School of Law, and the University of Pennsylvania Law School. Tina’s Wish was honored to present to Jay Goffman of Skadden, Arps, Slate, Meagher & Flom LLP the 2018 Tina Brozman Mentoring Award. Jay is the global co-head of Skadden’s Corporate Restructuring Group. Jay has been honored with numerous professional awards throughout his career. 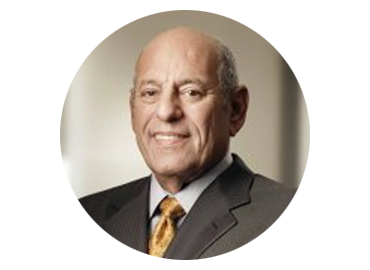 He was named one of “The Decade’s Most Influential Lawyers” by The National Law Journal, a “Dealmaker of the Year” by The American Lawyer, and one of the 10 most innovative lawyers in the U.S. by the Financial Times’. He has also been named one of Law360’s bankruptcy MVPs and one of Turnaround & Workouts Top 12 Restructuring Lawyers numerous times. As a recognized pioneer of Prepacks, many of his accomplishments have been chronicled by numerous publications including the Wall Street Journal and The Deal. Recently, the University of North Carolina at Chapel Hill School of Law bestowed upon Jay its Lifetime Achievement Award recognizing his many contributions to the legal profession and our nation. Jay is a fellow of the American College of Bankruptcy, a member of the International Insolvency Institute, TMA, INSOL and its G36 Organization. 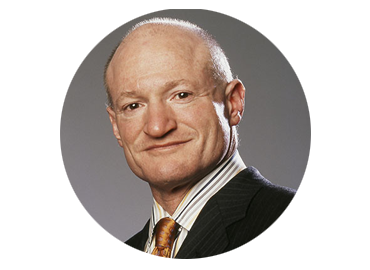 He serves on the Board of Directors of the American Bankruptcy Institute, was past Vice Chairman and a member of the Board of Trustees of the China Institute, and is currently on the Board of Directors and Treasurer of the Cerebral Palsy Alliance Research Foundation. Jay’s impact is felt beyond the restructuring community as he is actively involved in numerous philanthropic and charitable causes. The China Institute bestowed upon Jay its prestigious “Blue Cloud Award” in recognition of his many years of service promoting stronger relationships and cultural exchange between the United States and China. The American Jewish Congress awarded Jay with its National Human Relations Award recognizing his efforts to build a society that rejects hatred and bigotry and embraces human bridges of mutual respect and cooperation. Jay has been a dedicated supporter of Tina’s Wish since its inception and continues to be a driving force behind the foundation’s mission. Jay remembers appearing in Tina’s courtroom on numerous occasions and remembers her fondly as a judge who understood the importance of honesty and integrity as the core value of our legal profession, values he has tried to make central to his practice and life. As someone who has experienced the pain of cancer in his own family, Jay is dedicated to helping Tina’s Wish find a cure for ovarian cancer. Tina’s Wish was honored to present to Susheel Kirpalani of Quinn Emanuel Urquhart & Sullivan the 2017 Tina Brozman Mentoring Award. Susheel Kirpalani is a partner and Chairperson of the firm’s Bankruptcy and Restructuring Group. In 2013, The American Lawyer honored Susheel as “Dealmaker of the Year” for his work as Examiner and Mediator in Dynegy. 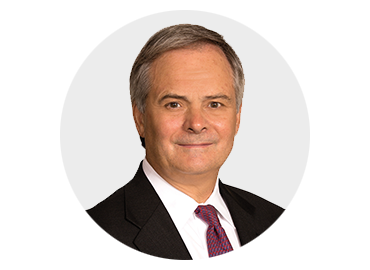 He has been recognized by The Deal as one of eight attorneys “poised to become significant figures in the bars of cities ranging from Houston to Paris,” and also by Law360 as one of the ten most admired bankruptcy attorneys in the country. Chambers USA ranks Susheel in Band One, describing him as “very creative, aggressive and hard-working” and “a tremendous courtroom advocate.” Expert Guides named Susheel one of the “Top 30 most pre-eminent Insolvency Lawyers in America in 2012.” He is a recipient of the South Asian Bar Association of New York’s esteemed Litigation Achievement Award and is a Fellow of the American College of Bankruptcy. Susheel is a frequent lecturer and panelist across the country on topics relating to financial crisis litigation, distressed investing, and bankruptcy. He is a regular guest speaker at NYU School of Law’s seminar in advanced bankruptcy taught by former bankruptcy chief judge, Arthur Gonzalez. Susheel and his family were personally affected by ovarian cancer when his mother, Rita, was diagnosed with Stage IV ovarian cancer in 2003 and passed away in 2005 from this devastating disease. Thanks to Susheel’s generosity, Tina’s Wish established its first ever Consortium Grant in 2014 and will award its second Consortium Grant in late 2017 to a team of researchers from different institutions. 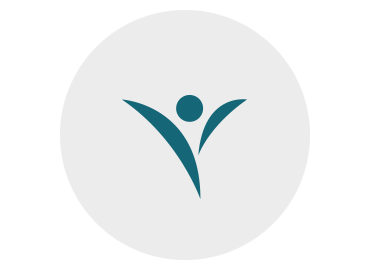 Susheel believes passionately in the power of mentoring and sponsorship. 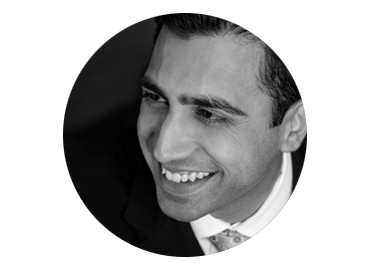 Susheel gives of his time and expertise to develop the next generation of bankruptcy attorneys. In addition, he established full tuition scholarships at his alma mater, Fordham University School of Law for students interested in pursuing a career in public service law. Tina’s Wish was honored to present to Lisa Donahue of AlixPartners the 2016 Tina Brozman Mentoring Award. 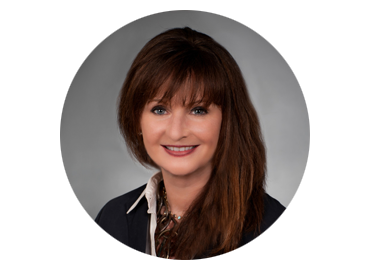 As Managing Director and Global Head of the Turnaround and Restructuring Group at AlixPartners, Lisa has been an integral part of her clients’ success in the areas of financial and operational turnarounds, reorganizations, and corporate transformations. Lisa and the firm have been a Dinner Committee sponsor every year since the foundation’s inception and Lisa served as a dinner co- chair for the 2015 benefit dinner. 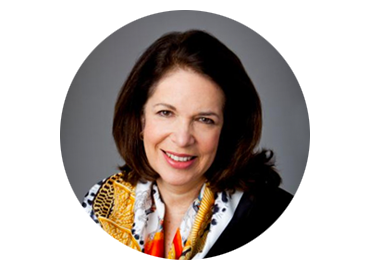 Lisa was a friend to Tina Brozman in the restructuring community and like Tina, an innovative leader who brings to bear a strong intellect with an ability to bridge differences and achieve great results for her clients. Lisa’s persistence and tenacity in difficult situations are coupled with teamwork and mentorship of women and men alike in the profession. Her leadership in the community exemplifies and honors the legacy of Tina Brozman, in whose memory this annual award is presented. Tim Coleman is head of PJT Partners’ Restructuring and Special Situations Group. Tim has been an active supporter of Tina’s Wish since its inception when his business partner and mentor, Art Newman, helped to organize the major firms to support the Foundation’s first benefit dinner. 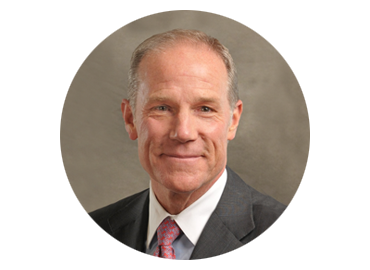 Known for his strategic thinking, insightful candor, and calm leadership in the face of crisis, Tim is a respected friend and advisor to all in the restructuring community, and a driving force behind the continued success of Tina’s Wish. Marcia Goldstein is chair of the Business Finance & Restructuring Department at Weil, Gotshal & Manges and a member of the firm’s Management Committee. She serves on the Tina’s Wish Women’s Committee helping the Foundation to grow and expand its reach. Marcia fondly remembers appearing before Tina in her courtroom. To this day she remembers the admiration and respect Tina earned from all the parties that appeared before her. Michael Reilly is Senior Counsel for Morgan, Lewis & Bockius’ Global Financial Restructuring Group (formerly Bingham McCutchen). He has more than 30 years of experience representing public and private bondholders and lenders in financial restructurings. Michael received both his BA and his JD from the University of Connecticut. Michael had the privilege of being Tina’s law partner from 2000 to 2007 and they served together as co-heads of Bingham’s Global Financial Restructuring Group. They developed a strong personal and professional bond. He credits Tina with adding a judge’s perspective to his legal advice, and more awareness to promoting and mentoring women and supporting diversity within Bingham and the profession. Bryan Marsal is the co-founder of Alvarez & Marsal which delivers specialized business advisory and crisis management services to distressed and under-performing companies. Since its founding in 1983, the firm has grown to 1,900 people based in 17 countries and 40 locations. Alvarez & Marsal was among a handful of pioneers in a nascent restructuring industry that would lead the way for professionals seeking rewarding careers by helping clients in challenging situations. 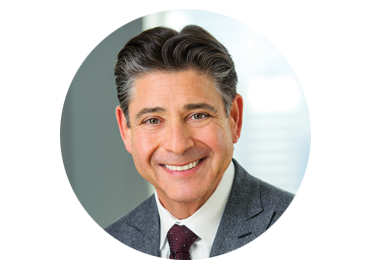 Bryan serves on the board of Timex Corporation, Cressey & Co. and on the advisory boards of InMotion and Youth, INC. As part of the core values, culture and training programs at Alvarez & Marsal, Bryan mentors and develops professionals at his firm and beyond. The late Arthur B. Newman was a senior managing director and co-head of the Restructuring & Reorganization Advisory Group of Blackstone and a member of Blackstone’s Executive Committee. Art and Tina’s professional paths crossed many times over the years and they forged a lasting friendship based on shared personal, as well as professional, experiences. Art’s early support was instrumental in the development of the Tina’s Wish. His mentoring of a fledgling board of directors expedited the Foundation’s ability to make an impact in the fight against ovarian cancer. 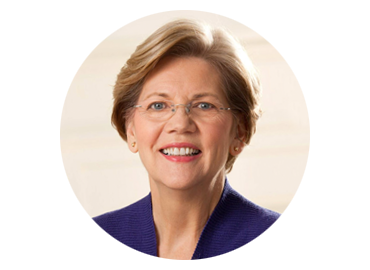 Senator Elizabeth Warren, the former chief adviser to the National Bankruptcy Review Commission and first academic member of the Federal Judicial Education Committee, has had a profound influence on the national approach to issues dealing with credit and economic stress. Ms. Warren, through her work, which includes nine books and more than 100 scholarly articles, has made a significant and unique contribution to the national conversation on these issues and to a generation of judges, lawyers and students. She has also made extraordinary contributions to the mentoring and the development of bankruptcy scholars and practitioners. 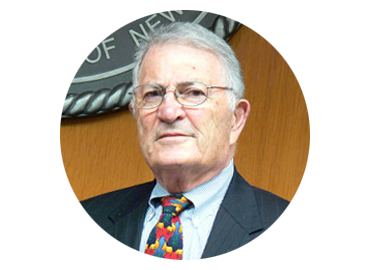 The Honorable Burton R. Lifland, former chief judge of the Second Circuit Appellate Panel and the Bankruptcy Court for the Southern District of New York, was an outstanding jurist whose groundbreaking contributions included not only his lasting impact on bankruptcy jurisprudence, but also his service as a mentor to many fledgling judges, including Tina. The Right Honorable Leonard Hoffmann, a retired law lord in England’s House of Lords, oversaw, with Tina the 1991 cross-border reorganization cases of the Maxwell Communications Corporation. Tina and Lord Hoffmann shared the same vision of the need for cooperation between courts administering multinational reorganization cases in order to achieve the overarching goal of comity among nations.